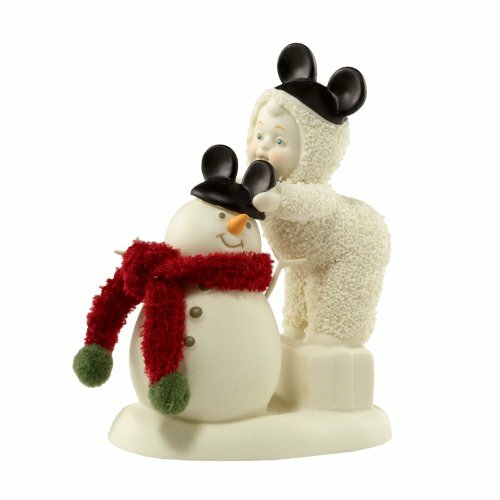 Baby adds the finishing touch, official Mickey Mouse ears to a friend snowman. Let's Be Like Mickey! Snowman wears a red and green knit scarf. Made out of porcelain bisque, each Snowbaby is hand painted by skilled artisans and features frosty bisque crystals.